Get competitive quotes on outdoor advertising in The Gem City! 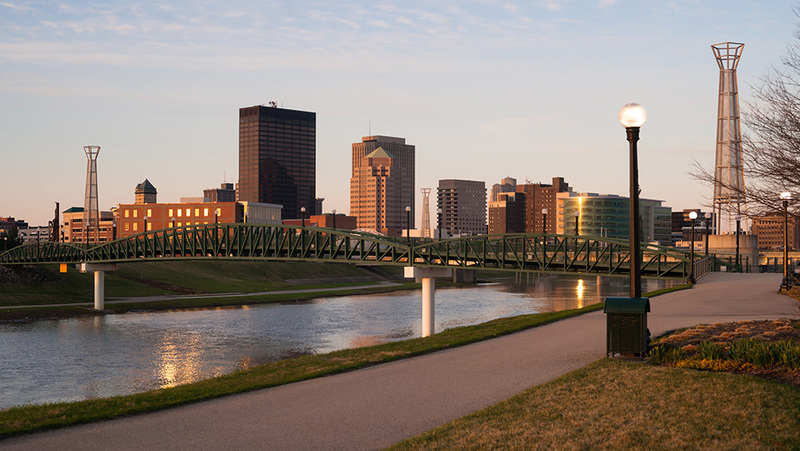 Dayton is a city in Ohio, whose borders are within 500 miles of about 60% of the whole country’s population making it a great location for outdoor advertising as it is a frequently passed through city. Additionally, Five Rivers MetroParks maintains over 70 miles of trails for cycling and other activities keeping many residents as well as many visitors outdoors in Dayton. There are so many ways to have your business promoted in the city, whether that be a billboard on I-75, I-70, I-675, or on a bus that travels the many routes throughout the city, or on a local transit stop. BillboardsIn can save you tons of time with access to their extensive database that will provide you with competitive quotes for outdoor advertising in Dayton. Whichever format you choose, it is sure to have a positive impact on your business. Start exploring your options by choosing an advertising format below. Or, begin your search with BillboardsIn to get competitive quotes on outdoor advertising in Dayton.